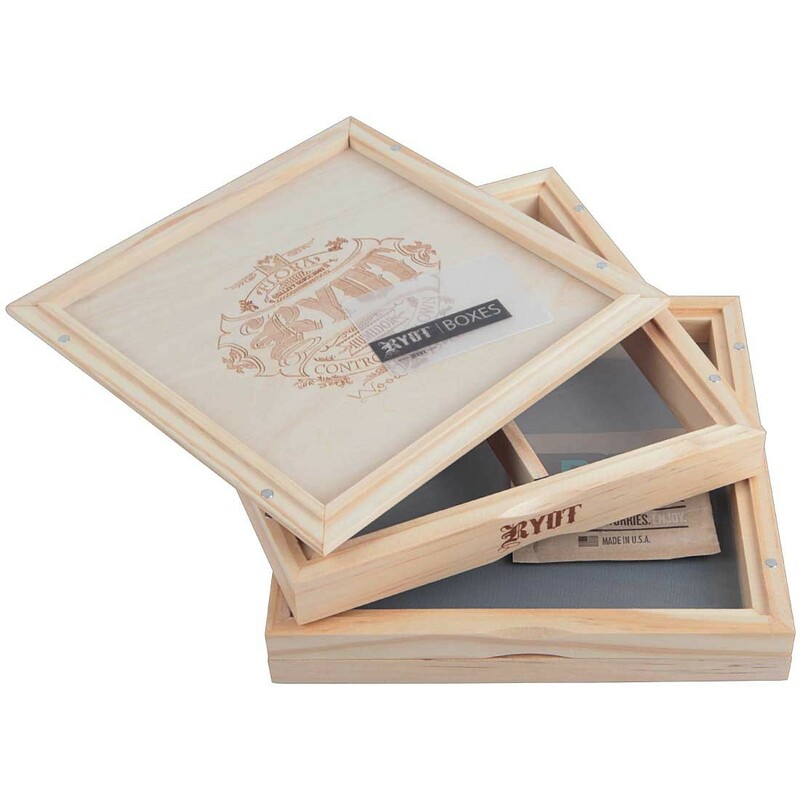 The 7 x 7 Double Screen Natural Sifting Box is a top quality storage and sifting box for dried blends made by one of the top names in the business. 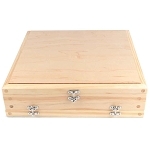 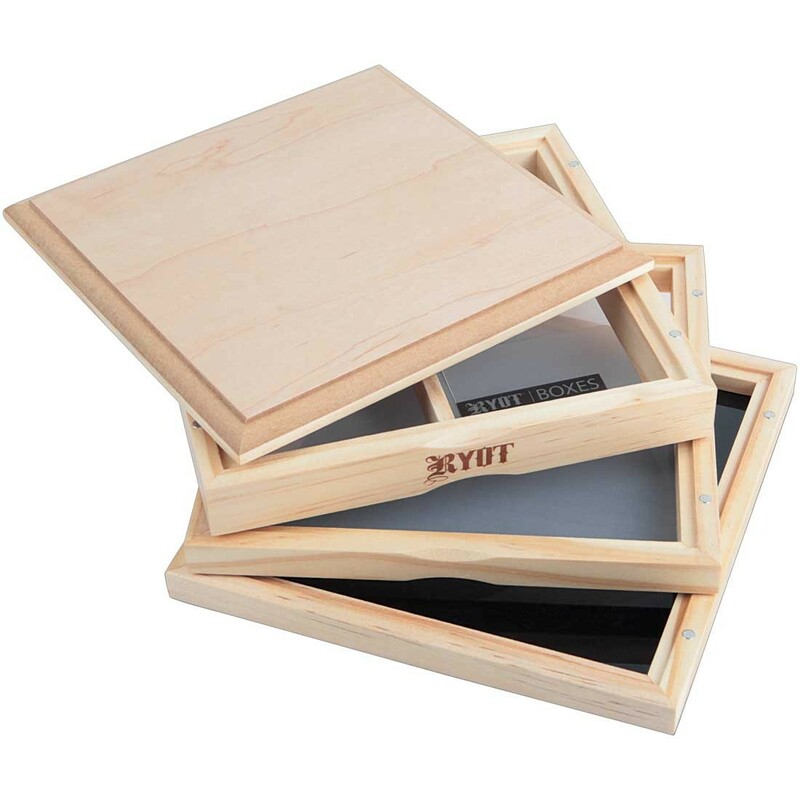 This innovative wooden storage box comes equipped with two fine mesh sifting screens that are made from a monofilament for maximum durability and longevity. 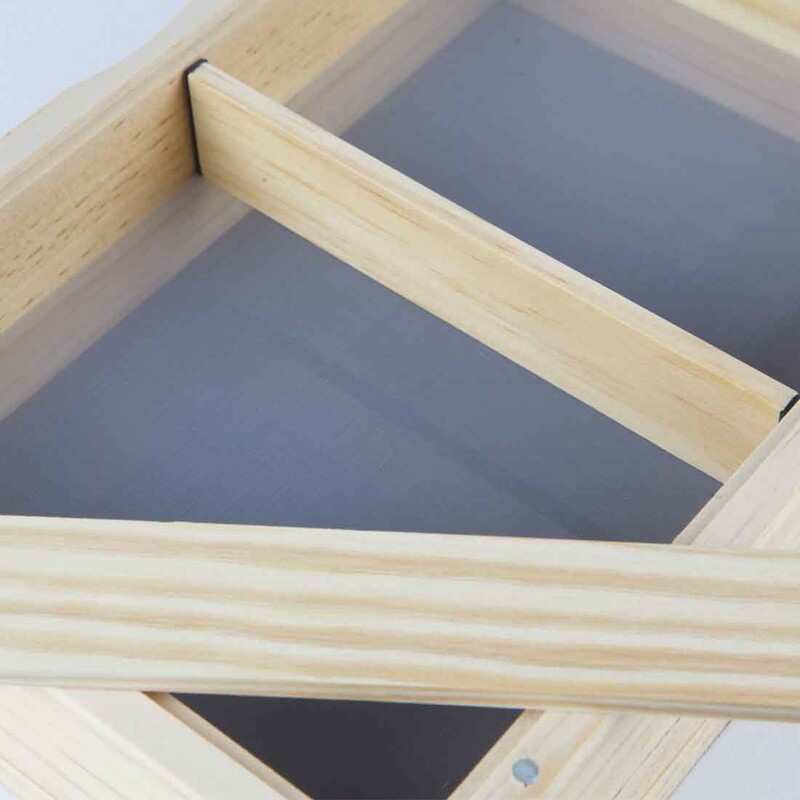 Each screen has their own unique mesh size (100 & 120 Mesh), allowing you to collect two distinct types of pollen at a time. 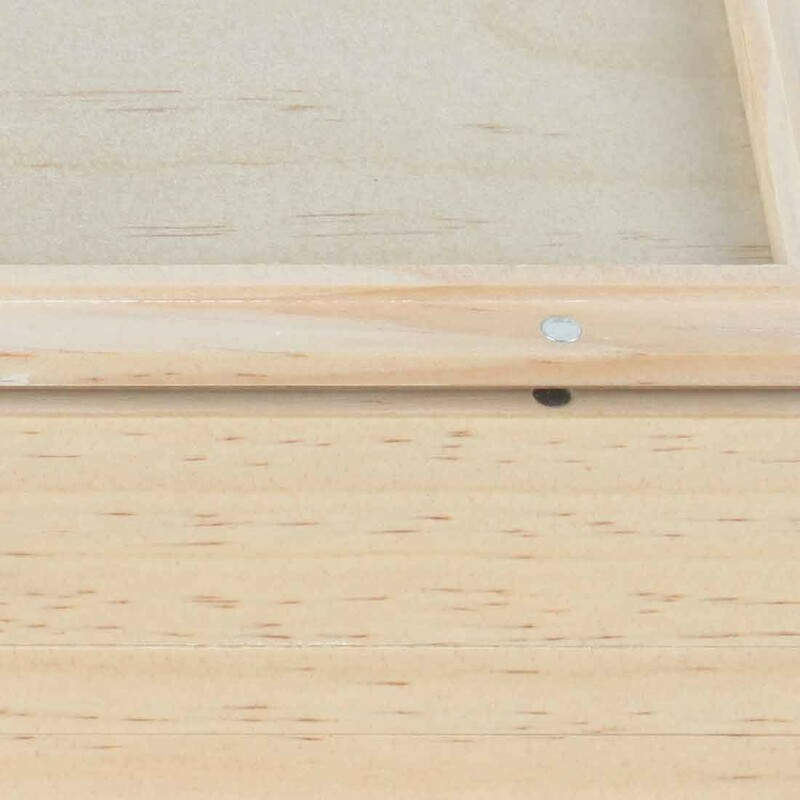 Aside from the two sifting compartments you also have a bottom collection tray where the finest quality of pollen collects. 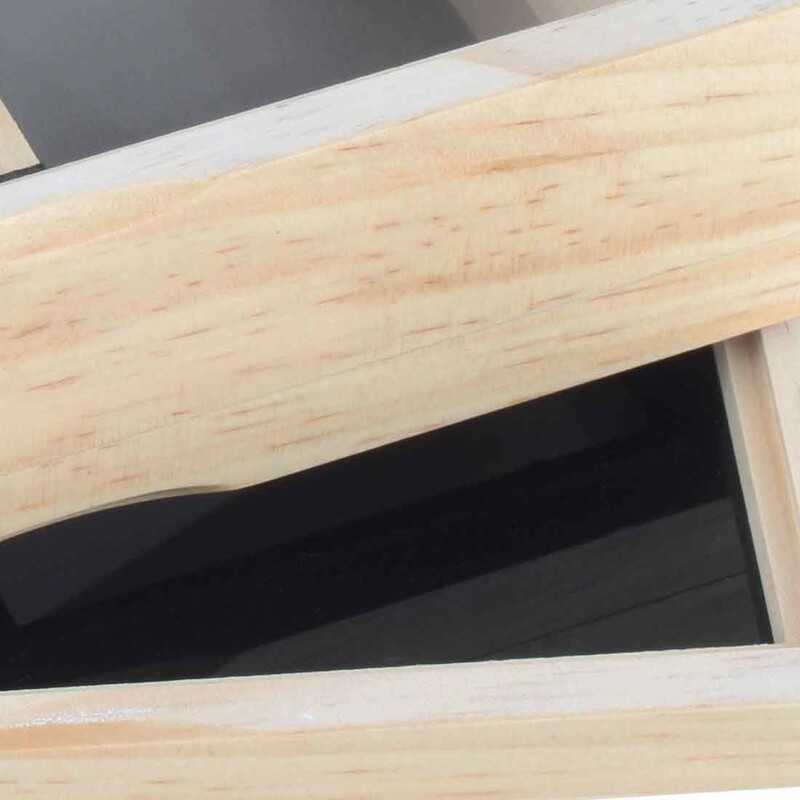 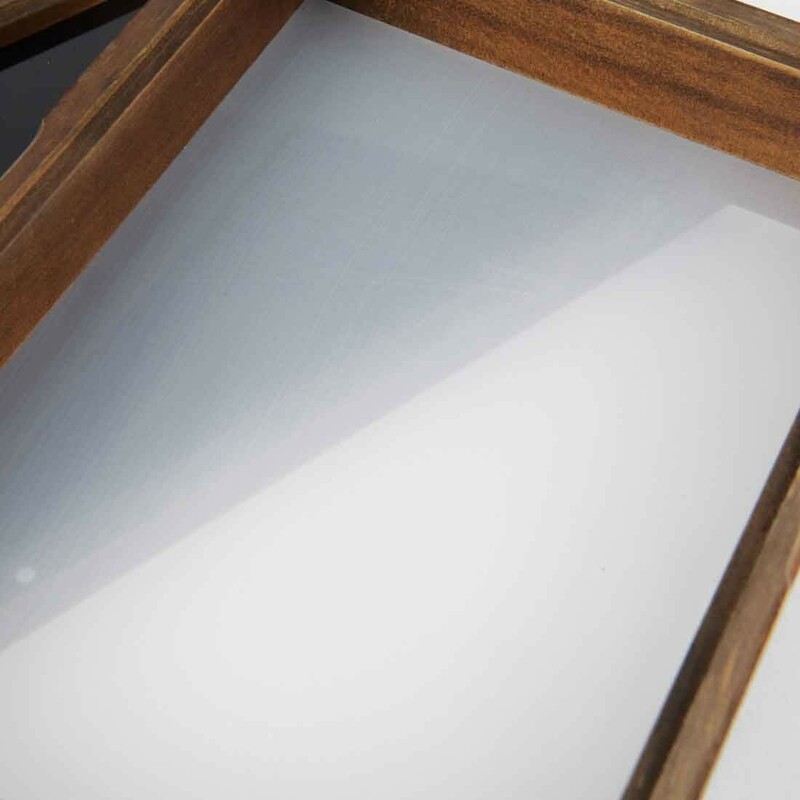 There you have a high quality black lucite seamless tray that makes it quite easy to see ever last bit inside. 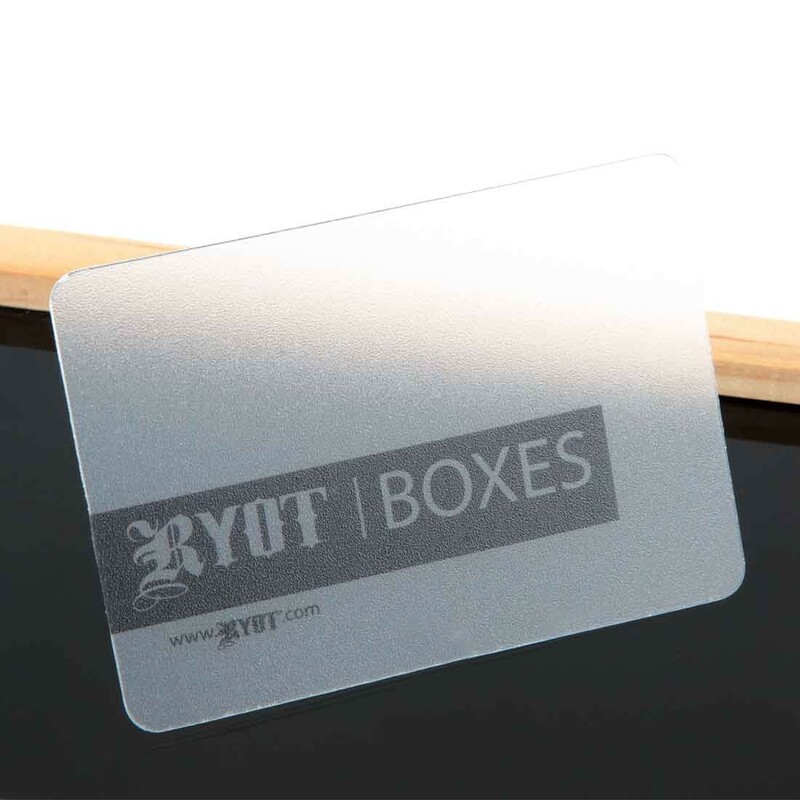 RYOT also includes a folding scrape/scoop tool that allows you to extract your material with little effort and no mess. 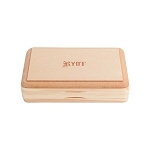 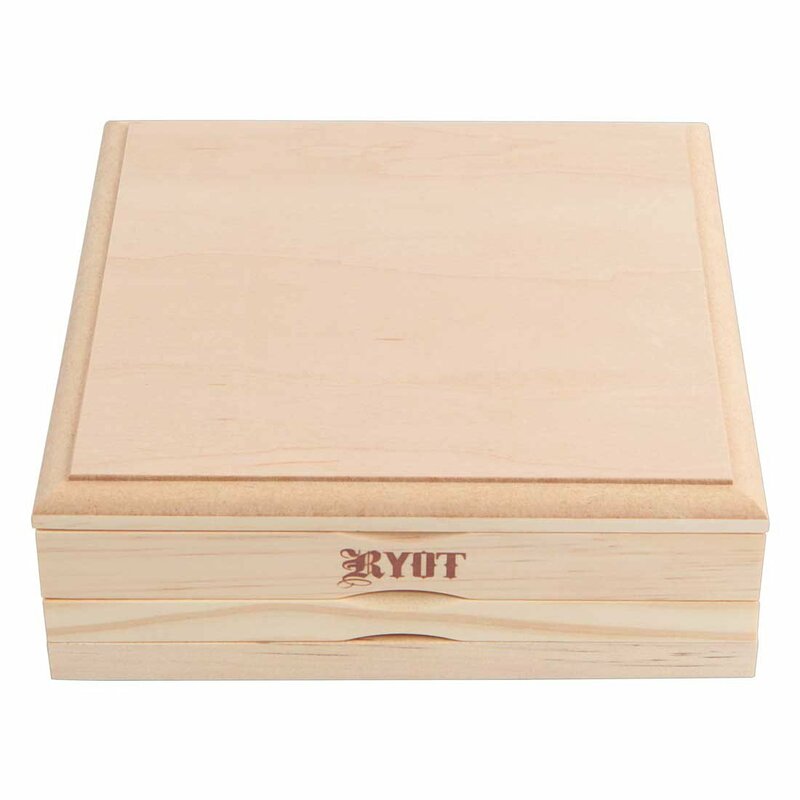 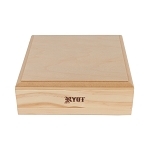 The Natural RYOT Dual Screen Box also features a strong magnetic closure between each layer, it comes with removable dividers neatly storing multiple types of blends and the removable top tray with classic RYOT engraved logo can be flipped to double as a convenient preparation/rolling tray.